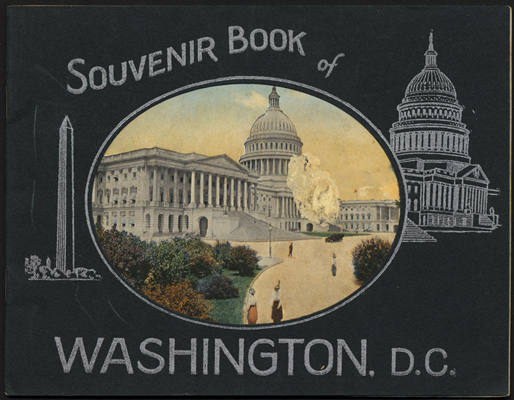 Souvenir book of Washington, D.C. - [S.l. : s.n., ca. 1925]. Beautiful Washington : the nations capital [sic]. - [S.l. : s.n., ca. 1925]. Souvenir folder of Detroit, Michigan. - [S.l. : s.n., ca. 1925]. Hotel Statler, Detroit : Grand Circus Park at Washington Blvd. and Bagley Ave. - [S.l. : s.n., ca. 1920]. Utah State Capitol, Salt Lake City. - Salt Lake City, Utah : Horse Shoe Magazine Distributing Co., [ca. 1940]. Utah State Capitol Building, Salt Lake City, Utah. - Salt Lake City, Utah : Deseret Book Company, [ca. 1940]. Corridor and main stairways, Utah State Capitol, Salt Lake City, Utah. - Salt Lake City, Utah : Deseret Book Company, [ca. 1940].